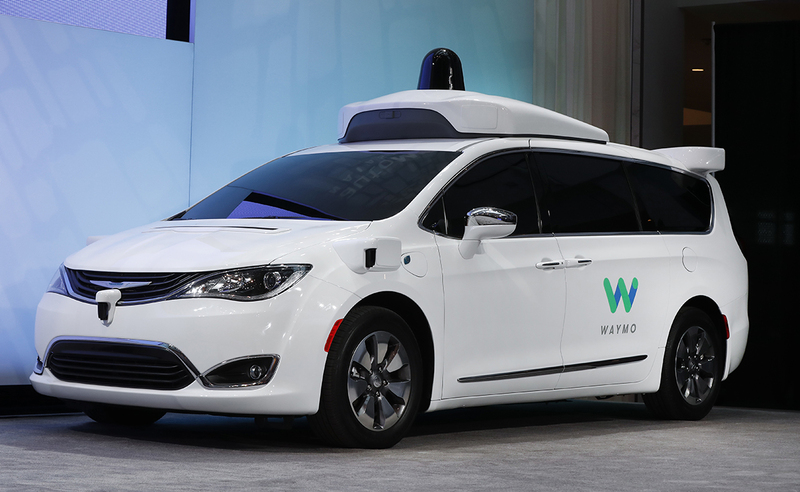 Alphabet Inc.’s Waymo unit demonstrated a self-driving minivan with no one behind the wheel, declaring the vehicle as ready for public use. The race is on to jump from the lab to the highway and offer the first self-driving vehicle for public use. Waymo pioneered the technology but is facing competition as giants from General Motors Co. to Apple Inc. spend billions of dollars to catch up. Now, Krafcik is seeking to reassert Waymo’s primacy with a push to make the company synonymous with autonomous cars in the public mind. The Google vehicle arm is considering different paths to commercialize the technology it has spent the last eight years developing, Krafcik said. They include ride-hailing, trucking, and “last-mile” services to get people from their homes to mass-transit hubs, as well as personal self-driving vehicles through partnerships with traditional automakers. “We’re pursuing multiple products at the same time,” Krafcik said. Waymo hosted about 40 journalists at its 91-acre test site on a decommissioned U.S. Air Force base to demonstrate its self-driving Chrysler Pacifica minivans, the kind of media junket that Krafcik practiced for years while he was CEO of Hyundai Motor Co.’s U.S. sales and marketing unit. It’s the most recent example of the company’s efforts to demystify self-driving cars in the general public, following an ad campaign in Phoenix — where Waymo began autonomous Pacifica rides to a limited number of residents in April — and the release of a public report explaining its technology. With no driver behind the wheel and two reporters inside, the minivans smoothly traversed a short route that saw the car encounter pedestrians, bicyclists and other drivers, including one stranded outside his broken-down Hyundai. Waymo, which moved into its testing site in 2013, also showed how the self-driving technology practiced variations of similar driving scenarios through three “structured tests.” In one, cardboard boxes were thrown in front of the minivan from a moving truck parked to its right while an oncoming vehicle approached, creating a choke point that required the self-driving Waymo car to hit the brakes. The demonstration also marked the first time Waymo has shown its user interface for self-driving cars: a small ceiling-mounted box with buttons to start the ride, pull over, and lock or unlock the vehicle, and one to call a customer-service representative for help. Monitors inside the car displayed a simplified view of the surrounding world picked up by the car’s array of radar, cameras and laser sensors. The clean, simple graphical interface is aimed in part at calming the nerves of would-be riders. Multiple surveys have shown many Americans are still uneasy about self-driving cars.